1st Lt Sarah Stevens assumed command of MER-NC-300 on April 10, 2018. 1st Lt Stevens plans to continue the positive leadership program initiated by 1st Lt Allen, leveraging the experiences of an incredible senior member leadership team and growing cadet leadership organization. 1st Lt Sarah Stevens hopes to engage cadets in outreach activities to further strengthen our relationship with Cuthbertson High School and other educational institutions within the community. 1st Lt Stevens first line of business will be to formulate a senior member leadership team as per CAP regulations, ensuring senior members are afforded professional development opportunities that will enable continued successful execution of CAP missions within NC 300. Lt Stevens will encourage cadet leaders to embrace positive leadership experiences that encourage younger cadet recruitment and cadet retention within the program. Thank you to the ten members of Squadron 300 who answered the call to service this past week. 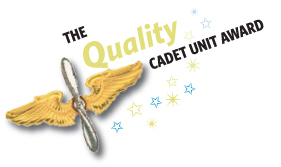 Although the Civil Air Patrol was not deployed for the recent call to duty Squadron 300 represented themselves well with their quick readiness and communications. For those that wanted to Volunteer but could not because they did not have the Operations Qualifications needed start with your GES and FEMA POD training. Congratulations to our January Fliers! Cadets Kaylin Thomas and Zachary Watson experienced their first time in the Pilot's seat this January. CAP Cadets enjoy five introdutory Orientation Flights in a Cessna and five O- Flights in a Glider. February kicks off our Pilot Training Program for 2014. Learn to fly in Civil Air Patrol.